We know, we know: everyone hates the new Instagram algorithm. But the fact is that if you want to get ahead as a business on Instagram, you need to work with the Instagram algorithm, not against it. Want to know how the Instagram algorithm works? 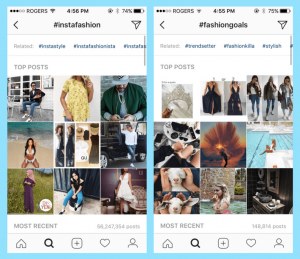 In the following post, we explain exactly what the Instagram algorithm is, how it affects the performance of your posts, and the different strategies you can use to “beat” it! 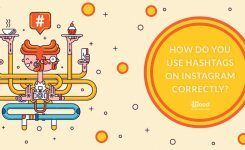 #1: How Does the New Instagram Algorithm Work? It’s a mystery everyone wants to know: how does the Instagram algorithm work? While we may not understand the intricacies of what makes the Instagram algorithm tick, we do know 7 factors that determine how your post will perform in the Instagram algorithm (and how many people will see it!). But it isn’t always about how much engagement a post receives. In some cases, the Instagram algorithm cares more about how quickly a post receives its engagement! One of the best known cases of this is trending Instagram hashtags. Even though the amount of engagement you get is really important, it’s slightly less important than how quickly you get that engagement. Back in early 2016 when Instagram was a simpler place, businesses didn’t have to worry about strategizing to get maximum engagement with the Instagram algorithm. The Instagram feed was chronological, so you could get by pretty easily by just posting consistently. Today, that’s no longer the case. If you want to succeed on Instagram, you have to optimize for the Instagram algorithm. 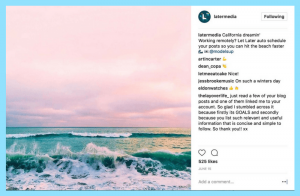 Indeed, the Instagram marketer of today has to be extremely diligent: Is the call-to-action in your caption strong enough? Did you use the right combination of hashtags? Are you posting at the best possible time? 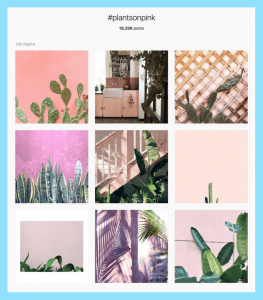 Is your Instagram feed attractive as a whole? Businesses are under more pressure than ever to create compelling content and engage with their followers in unique and creative ways. It’s a lot more work, yes. But the stakes are a lot higher too. 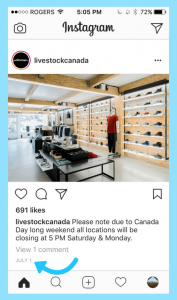 People don’t just casually browse their feeds anymore, they use Instagram to make informed decision about what products to buy and what businesses to buy from. In fact, according to a recent study, 78% of consumers make purchasing decisions that are influenced by a brand’s social media. So success on Instagram today means a lot more than just building a large community. It can also mean sales, lead generation, and customer acquisition. One of the best ways to generate a ton of engagement is to schedule your Instagram posts for when your audience is most active on Instagram. The reason for this is that the Instagram algorithm gives priority to posts with higher engagement, meaning that the more likes and comments your post receives, the more people will see your post. If you post when your audience is most active on Instagram, you’re more likely to drive engagement on that post. That’s why scheduling Instagram posts is so important to your overall Instagram strategy. 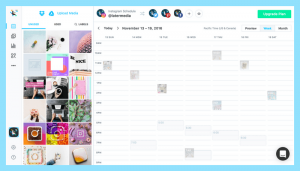 If you want to boost your chances of generating a ton of quick engagement on your posts, find out what your best times to post are, and then use a free tool like Later to schedule your Instagram posts in advance! 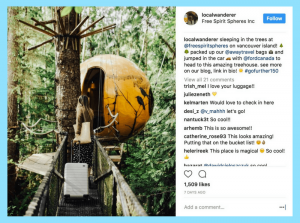 The simple act of requesting that your audience comment or inviting them to engage can go a very long way when it comes to boosting your Instagram engagement. 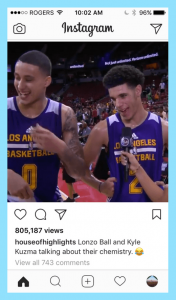 That’s why we can’t stress enough the importance of including a call-to-action in your Instagram captions. It’s a great way to inspire your followers to engage with your account in the comments section and spend more time viewing your post—which could also be a factor that Instagram takes into consideration when selecting the top posts for a hashtag! 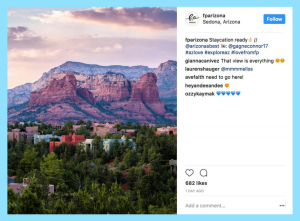 Having a solid Instagram hashtag strategy is an essential component for any Instagram marketing campaign, but it should also be a top priority for businesses that want to get more engagement on Instagram. Find out which hashtags your audience uses most actively, and then search for posts that use that hashtag. Once you’ve found some winners, like and comment on those posts to engage with your community. An easy way to do this is with Later’s Search & Repost feature, which lets you search for Instagram posts by hashtags, users, and locations. 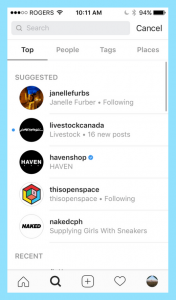 You can also use Search & Repost to comment on Instagram posts within the Later app! Likes, comments, shares… each of these is important, but are they equally important? Nope! the Instagram algorithm ranks comments and shares higher than they do likes. It’s difficult to actually quantify this, but from a business perspective it makes complete sense. Liking a post takes very little effort, whereas commenting and sharing posts on Instagram require more of an effort. In order to leave a comment, you have to tap the comment button, decide what to say, and click “Post.” The same is true for sharing. In other words, both comments and shares are better indicators of “real” engagement that likes. So even though likes are still very important, you should optimize your content to receive the most comments and shares as possible! In most cases when people refer to the Instagram algorithm, they’re talking about the content that appears on their feeds. But this is only one example of the Instagram algorithm! The Instagram Explore Page operates under its own algorithm, and according to Instagram “posts are selected automatically based on things like the people you follow or the posts you like.” You can also see video channels on the Explore Page, which can include posts “from a mixture of hand-picked and automatically sourced accounts based on topics we think you’ll enjoy.” So in many ways, the feed and Explore Page algorithms are very similar: the content you see is essentially an aggregation of posts that Instagram thinks you’ll like based on your behavior. But what about the hashtag results page? 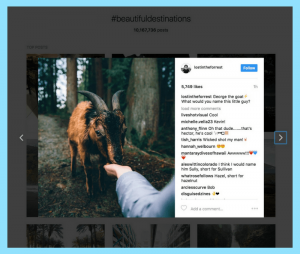 If you’ve ever searched for a hashtag on Instagram, you’ve probably noticed the grid of nine “top posts” that appear at the top of the results page. 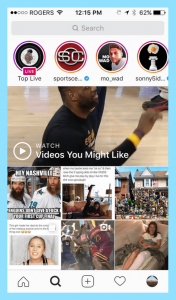 Even the Instagram Stories that appear the top of your feed are ordered according to an algorithm! 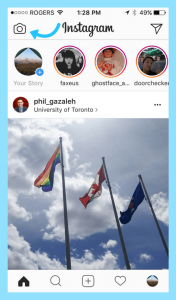 For the most part, the Instagram Stories that appear closest to the beginning of the row are from accounts that you engage with the most, whether that’s actual Instagram posts or watching Instagram Stories! Even though it might seem random, it’s possible to “beat” the Instagram algorithm and drive more engagement on your account than your competitors. 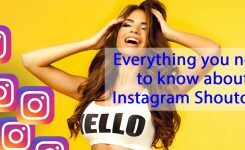 At the end of the day, the more you know about how the Instagram algorithm works, the better your chances are of beating it! 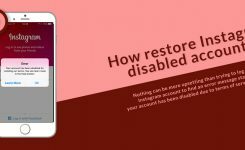 How restore Instagram disabled accounts?